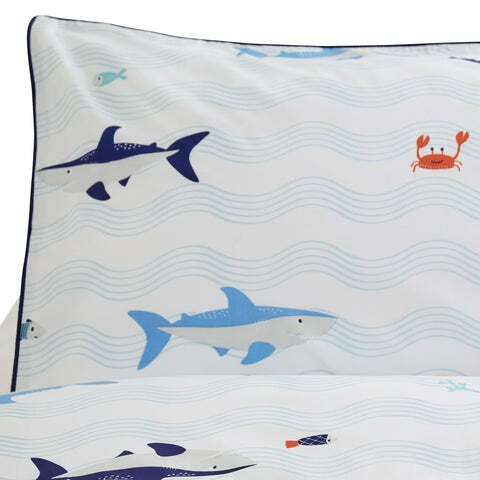 Under the Sea Duvet Cover Set - Single | Great Little Trading Co.
Children will love spotting sharks, crabs and lots more amid the waves of this gorgeous bedding - it's flipping good fun for bedtime. 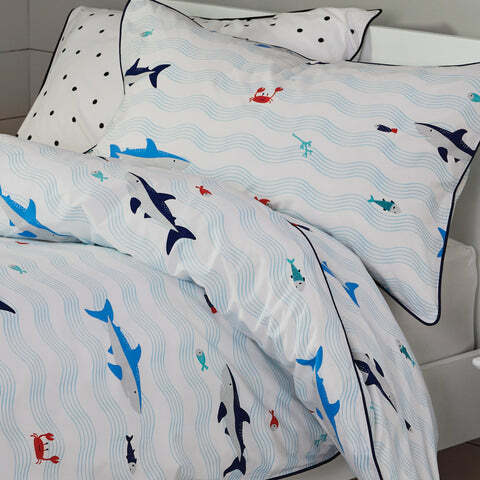 All our duvet cover sets are made from 100% pure cotton to keep children cool and comfy at night; it also makes our bedding last longer so that younger brothers and sisters can share in the fun. Includes sturdy button closures. 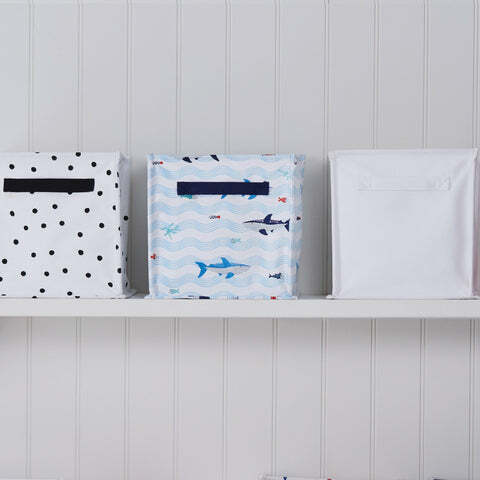 You might like the matching Shark Swim Bag or Shark Canvas Storage Cube. Otherwise take your pick from our coordinating Children's Rugs, Blackout Curtains and Toy Storage.